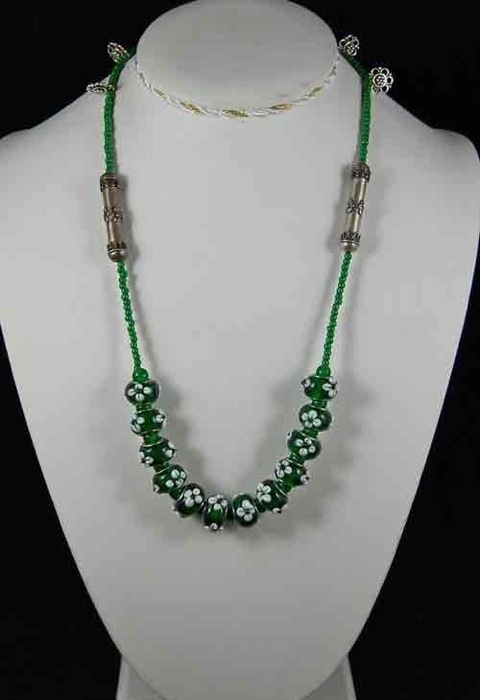 This 21" necklace has green glass beads along with green glass beads with applied flowers. The feature silver beads are very old. 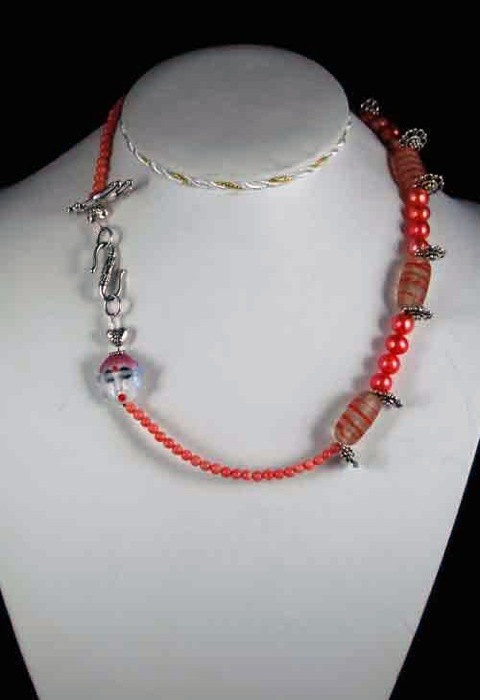 There are also silver beads and clasp. 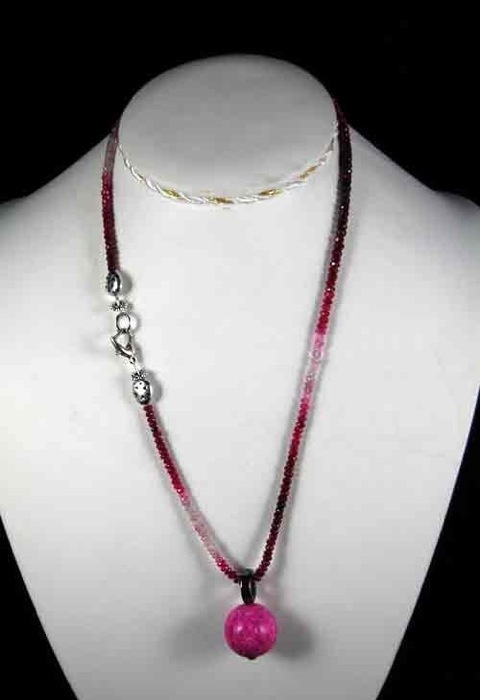 This 21" necklace is simple and elegant. The strand is a row of sapphire beads in a gradation of light pink to a deep rose. The pendant has a bail of hematite with a gold nail to attach. Silver clasp. Please mention the necklace number when you order.